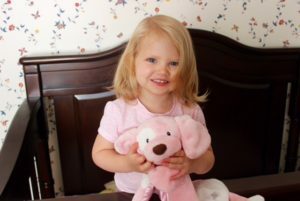 Kyra Franchetti was a vibrant, happy and energetic two-year-old. She loved soccer, gymnastics and bubbles. Kyra was a chatter box and easily made friends wherever she went. Her life was tragically cut short when she was taken from us on July 27, 2016. Jacqueline Franchetti wishes to keep her voice and spirit alive by saving the lives of other children. We thank you for making a donation to the R Baby Foundation in her memory.